Use each morning on the face and neck. External use. Avoid the eye contour area. Use it this morning for 1st time. 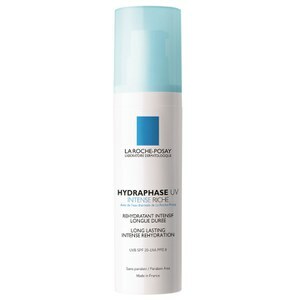 In winter I used hydraphase rich without UV and I liked it. This crem looks to bee good too. 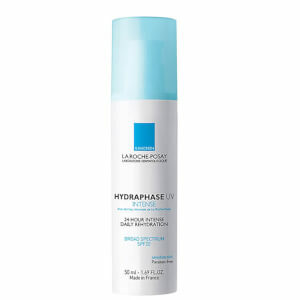 Love Ra roche posay products for my combinated dehidrated skin. After pregnancy my face skin was twisted and looks like wrinkles under eyes (i am 30), but my cosmetologist said it because I loose wight and my skin looses many water (become dehitrated), using hydraphase line about year my face looks good again, no wrinkles and looks plumped up. I suggest! Hi folks...you want a review???? WELL GUESS WHAT. THIS PRODUCT WAS NEVER SHIPPED...NEVER RECEIVED. SO THANKS A HELLUVA LOT FOR YOUR LOUSY SERVICE. HOW DO YOU STAY IN BUSINESS????? Mary Patterson Owner AdSpec Here is my phone 818-772-1028 At least I have a phone number- you certainly don't. I have tried to email and phone innumerable times- but nothing works...you are INVISIBLE. I can't afford to run my business like this. This product meets all my needs, because i have to look at the computer screen all day, it's 20 sfp can help protect my face from the radiation and the moisturizing ingredients really help to maintain skin Hydra silk slip. I like it very much. Strongly recommend it ! I have struggled with many creams previously, this one has visibly improved the hydration in my skin, making it feel wonderful - and I have only been using it for a week! Highly recommended.